THE WRITING BUDDHA - Opinions | Books | Movies: And Sachin Tendulkar retires with an IPL Trophy is his hands!!! And Sachin Tendulkar retires with an IPL Trophy is his hands!!! A team can never win a match/tournament until everyone does not come forward to showcase their individualistic powers in the favor of the team and not for their personal achievements. Any player who plays for record/himself gets into the eyes of the viewers. Cricket is religion for those who watch this sport. When they start analyzing things, the man with the least involvement in the team comes out as the target. With Mumbai Indians it all started with the excitement to see Sachin Tendulkar and Ricky Ponting opening the batting line-up together. These are the best two legends that the Cricket has ever seen. Once Ponting realized that he is not doing good as a Captain and batsman, he chose to sit out in the pavilion rather than being part of the Playing XI. 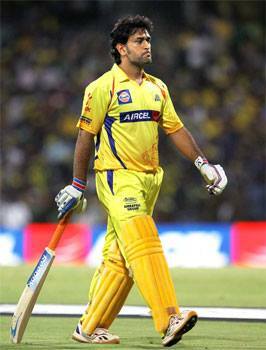 And its sure that if he would have continued, Mumbai Indians would not have reached till here as he was out of form. This shows that even a non-participation by someone at the right time or from the right time helps a team to win the trophy. In the end, I also never thought of a team winning an IPL season under the captaincy of Rohit Sharma. This guy did it very well. Neither Sachin Tendulkar nor Harbhajan Singh and not even Ricky Ponting, it's this new boy- Rohit Sharma who brought the Cup home. Kudos to him. And Dhoni, you have always been a great Captain. Even when your team needed 29 runs off the last ball and it was impossible in any calculation of Cricket to score this, Mumbai Indians were setting their players on the field. This is the fear of yours in this Sport. And why won't there be a fear of yours? You hit a Four even after such a tight fielding. :-) Your runs were exactly what rest of your team scored. Your scored runs were more than the highest scorer of the Mumbai Indians' side. And it's your 5th Final in the 6 editions of IPL. Now, as from next year there would be no Sachin, all the eyes will shift over you and your team. Best of luck for the future if there's any future of IPL now after so much of accusations and breaking news that has suddenly arose. Well done, Mumbai Indians. Thanks for bringing the Cup home. The wait of 6 years has been ended. Well Sachin has so many records and stories of success which probably will never be repeated by anyone. Sachin started his career at age of 16 and will retire at age of 40 from test cricket too probably in test series against SA, i dont think any cricketer will play for that long like this legend. About IPL well he took the right decision as after this victory there would have been media speculations that he might play next IPL too so its best to clear out.